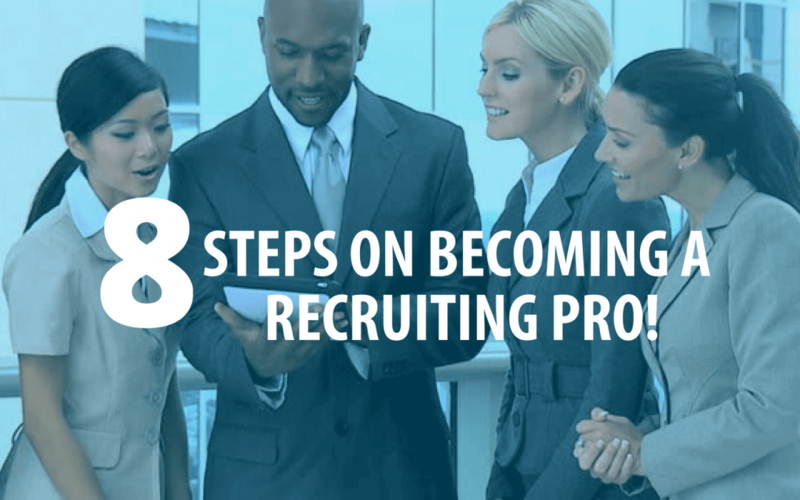 8 Steps on Becoming a Recruiting Pro! Are you really fired up about your new 5LINX venture and want to share it with everyone you know, but are you worried about being annoying or too pushy? Here are 8 tips that will make you a pro! Get to the Point (venture, idea or project): People don’t want to be misguided, so it’s important to be straight to the point. Start your conversation with exactly what you are calling or meeting about. “I’m working on a business venture and I want to run it by you”. If it’s an old friend or old work colleague, continue the basis of a normal conversation, “how are you, how’s your family” etc..and THEN follow back around to your initial statement about the business venture. This will give a sense of transparency and honesty. Give a Compliment: Add a sincere compliment in your approach. “I thought of you because of your awesome people skills” or, “I thought of you because you’re a friend of mine and we’ve talked about doing business together”. Another option could sound something like this, “I thought about you because you treat people with respect and you’re always honest”. Permission-Based Marketing: Set the expectation right off the bat that you are sending them something that will require a little bit of participation on their part. Ensure that they are interested right from the get go with this strategy. Be sure to talk up the venture or project to build curiosity. The goal is to get them to WANT to watch the video you are about to send them. “If I send you this video, will you take 3 minutes to watch it?” This will let you know right off the bat if it’s someone worth following up with and essentially, worth your time. Schedule a Follow-Up to the Initial Invite: When you ask them to watch your video, be sure to add-in a statement like this: “When you watch this video, you’re going to have some great questions”. This is a sincere compliment to their level of intelligence – let them know that you are prepared and excited to answer these questions for them. It keeps the door open for follow-up. Give Them TWO Options to Follow Up: Setting up two options allows you to give an ‘either or’ option, essentially leaving no room for “NO”. “When is a good time for us to talk? Is later tonight or tomorrow better for you?” Or, “I know you and I are both busy and the last thing I want to do is bug you with this, so lets set a time right now while we’re together so we can further discuss any questions you might have.” Don’t leave the appointment without setting a follow-up time.